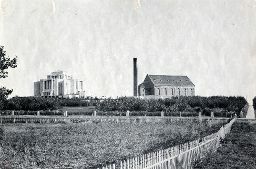 The Alberta (now Cardston) Temple was the first temple built outside the United States, the first without spires or an assembly room, and the first with a design bid on by professional architects. 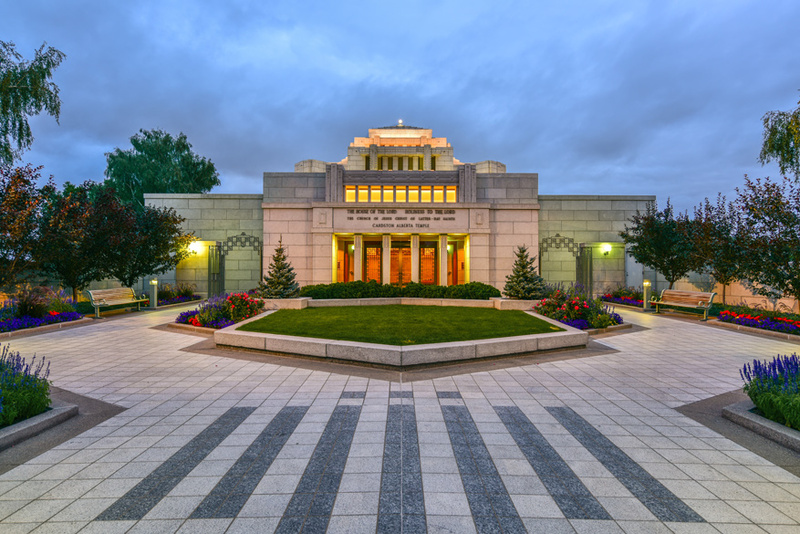 The capstone of Mormon achievement in southern Alberta is the Cardston Temple. 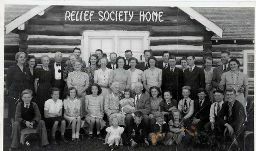 Part of a larger effort to extend the blessings of temple attendance to Saints living in remote areas, it was the first temple constructed outside the United States. 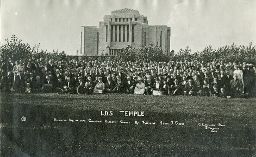 The construction of the Alberta Temple began when local resident Daniel Kent Greene broke ground for the building on November 9, 1913. It culminated shortly before the dedication of the temple by Heber J. Grant in August 1923. Harold Burton and Hyrum Pope's design for the Cardston Alberta Temple brought the Church architecturally into the modern era. The Cardston Temple was dedicated by President Heber J. Grant. 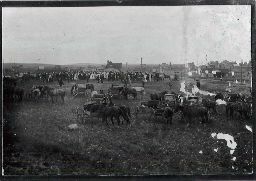 When Joseph F. Smith announced a temple would be built in Alberta, both Raymond and Cardston were candidate sites and the two towns lobbied for the distinction of having the temple. 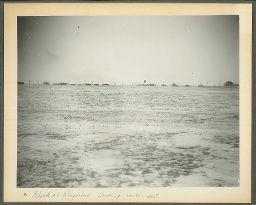 As part of the effort, both towns sent photos of proposed lots to Salt Lake City for consideration. Decades of dedication as president of both the stake and the temple made Edward J. Wood an inextricable part of the story of Cardston, Alberta. Completed in 1912, the old Alberta Stake Tabernacle served the religious and civic needs of Cardston and neighboring communities for more than forty years. A brief video outlining the history of the Cardston Temple. Temple location and hours of operation"The First of the Modern Temples," Ensign, July 1977"Edward J. Wood: Faith Personified"